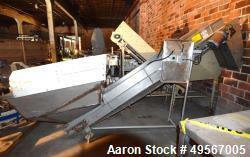 Used-Smalley Stainless Vibrating Conveyor. 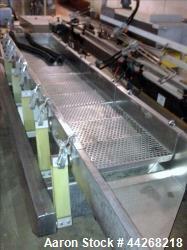 18" wide x 8' long, 4" deep pan. 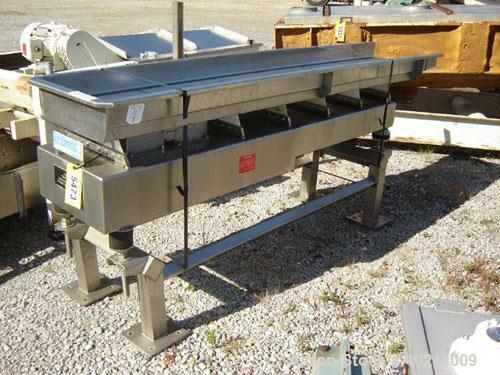 All stainless steel food grade construction. 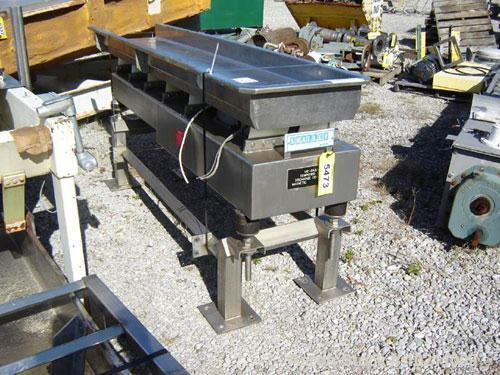 End discharge height is 35" above ground. Electro-magnetic drive.